My intention in writing about this framework is to provoke some debate and deeper thought about HOW we can differentiate the coaching we provide to teachers and school leaders so we can sustainably develop “effective schools” and create a school ecology that fosters a culture of trust, collaboration, learning and improvement. In Part I we looked at speeding up the rate of building a relationship and trust between a coach and the teacher by distinguishing the influence of deficit versus developmental thinking. 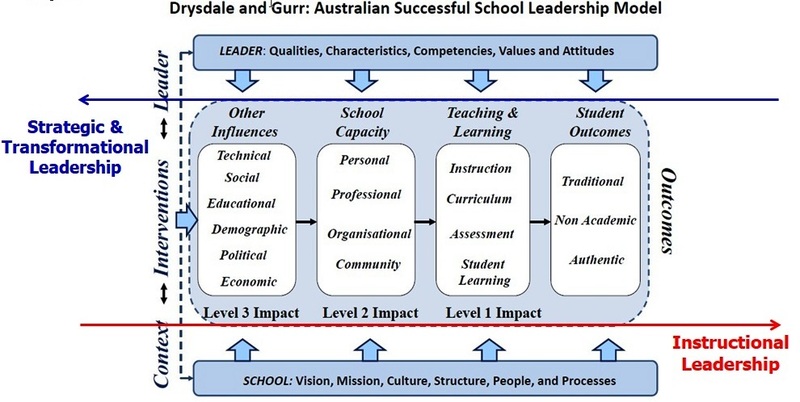 In this article I will unpack what schools need to focus on when building leadership capacity in their schools. Middle leaders often rise into positions of leadership or responsibility based on their instructional capacity. Most of the work in the professional development of teachers has focused on growing their instructional capacity. However, demonstrating good instructional capacity is insufficient neither to meet the requirements of a middle leadership role nor even to be an effective leader within a school. Schools are often not structured very well to develop their teachers and middle leaders to be strategic and transformational leaders. These aspects must become a focus if schools are going to be agile and adaptable to the fast changing environment existing. Let’s explore transformational and strategic leadership briefly and what this may mean for coaches in schools. Most middle and senior leaders are not well developed in transformational leadership. What I have found is that, in day-to-day practice, middle leadership roles often devolve into dealing with administration and management. In many cases team meetings, which could be opportunities for professional development and the growth of individuals, are overtaken by administration tasks possibly better handled via email. Furthermore, because the focus is not on the collaborative achievement of a long-term vision created by a team, middle leaders often struggle with the collapse between personal and professional relationships with the teams they lead. Thus certain accountability conversations become difficult to have. What we have inferred from our experiences is that there is a fundamental shift in the leader’s concept of leadership. 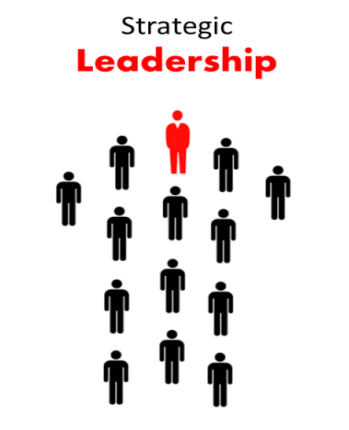 During the “I” conversational phase the leader’s concept of leadership is very individualistic. Leadership lies with the individual and has a role or positional viewpoint. As the leader grows into the “we” conversational phase their concept of leadership has moved to focusing on developing others to be leaders. This is a profound shift in context. From what we have been able to observe, this shift appears to be the best indicator that the person we are coaching has stepped into the type of leadership that transforms a community. The definition of strategic leadership I use is “the capacity to think and plan strategically to achieve long term goals”. This is where a leader thinks and plans from the bigger context of the whole school (normally captured in the school vision and strategic plan) with the aim to achieve those school goals within their team or area of responsibility. I have found that many schools operate in a top down model where the senior leaders do all the bigger picture strategic planning and then inform the middle leaders and teachers the plan for the coming year. There are several challenges with this. Secondly, I have noticed that in many schools that have top-down planning approaches (rather than collaboratively designed plans) there is less ownership of the plans and goals and, in the extreme, and “us versus them” culture can arise. The experience for some staff is that their voices and concerns aren’t being heard and their needs are not being met by school leadership. think about how they can grow and develop their team to achieve the goals and vision. To have a working party of individuals from throughout the school (and possibly the school community) create an inspiring long term vision for the school. This is then shared and refined in a collaborative session with the entire staff. The senior leadership team then unpacks the annual implementation goals for the coming year. They then support the middle leaders to collaboratively think from and strategically plan the coming year based on the identified annual goals. It allows for a balance of having everyone experiencing having a voice and engaging with the vision as well as deal with the logistics of having the process completed in a short time. It allows for a vision to be transferred practically through the school. Learning teams can be encouraged to create an inspiring vision for their team that is related to their specific discipline and the school vision. Middle leaders and teachers are developing their capacity to think and plan strategically as they have to think their way through what strategies and resources they would need for the year. They also have to identify what evidence they need to collect at the start of the year to show progress. It allows for a coaching leadership style because senior leaders can coach middle leaders on THEIR plan rather than telling them what to do. It addresses ownership and teacher voice. 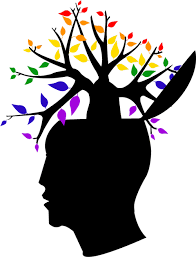 It provides direction and certainty for the year for the team (and thus creates an affiliative, democratic and developmental mindset and culture – these are all aspects of leadership based in emotional intelligence as highlighted by Daniel Goleman). In my experience the truly great teachers are also highly developed instructional, strategic and transformational leaders for their students. They then harness the power of community within the students in their class to create an “all for one” environment where the students collaborate and empower one another to succeed. Great teachers empower student leadership and move students from a focus on “me / I” to “we”. My recommendation is that when school leaders are looking to appoint middle leaders that they look for these qualities when they interviewing.